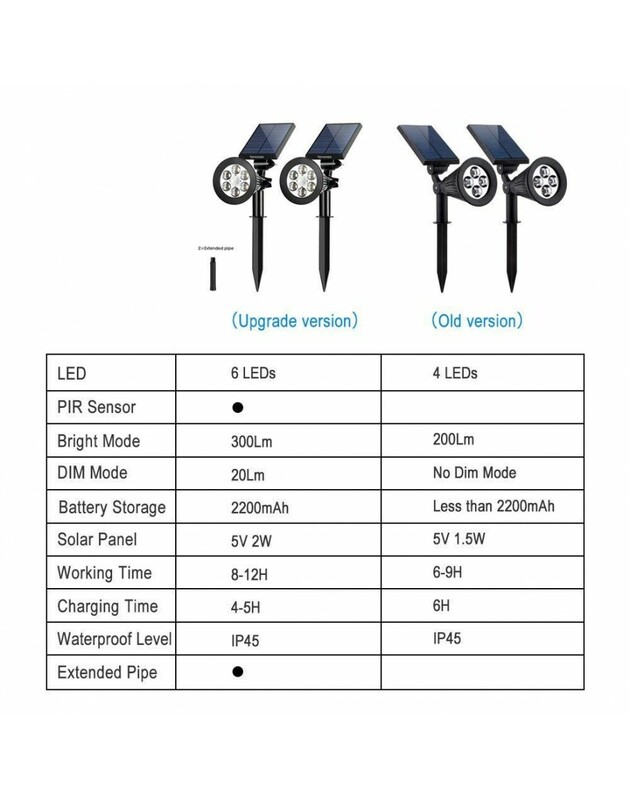 UPGRADED SOLAR OUTDOOR SPOTLIGHTS: Latest generation solar-powered landscape light with PIR motion sensor, which will stay on DIM mode when nobody nearby, and change into bright mode immediately while it detects human or animal and stay lighting 60s. Saving energy and extend lighting time. 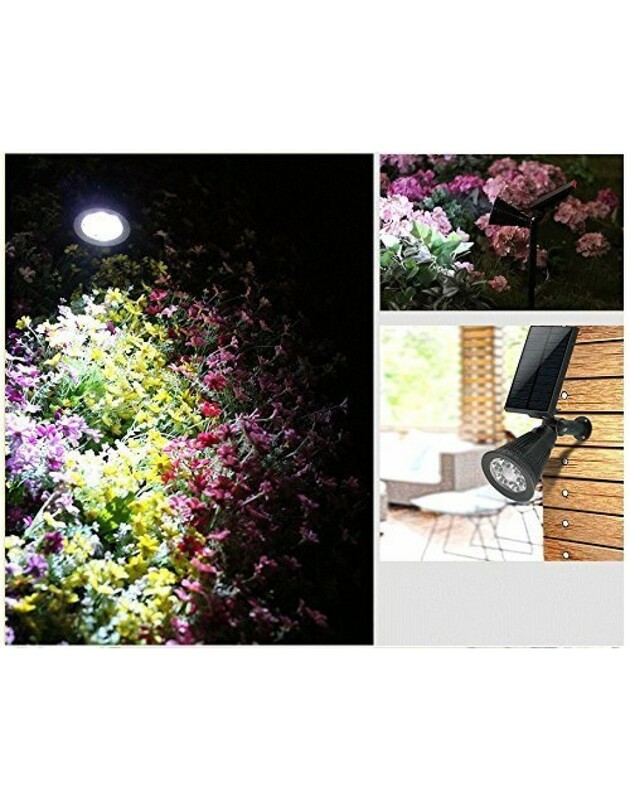 SUPER BRIGHTNESS WITH 6 LEDs: Stronger and higher output with 300 Lumen while others have only 4 LEDs with 200 Lumen, this solar Wall / In-Ground Lights bring out super brightness and keep your home lighting from dusk to dawn. 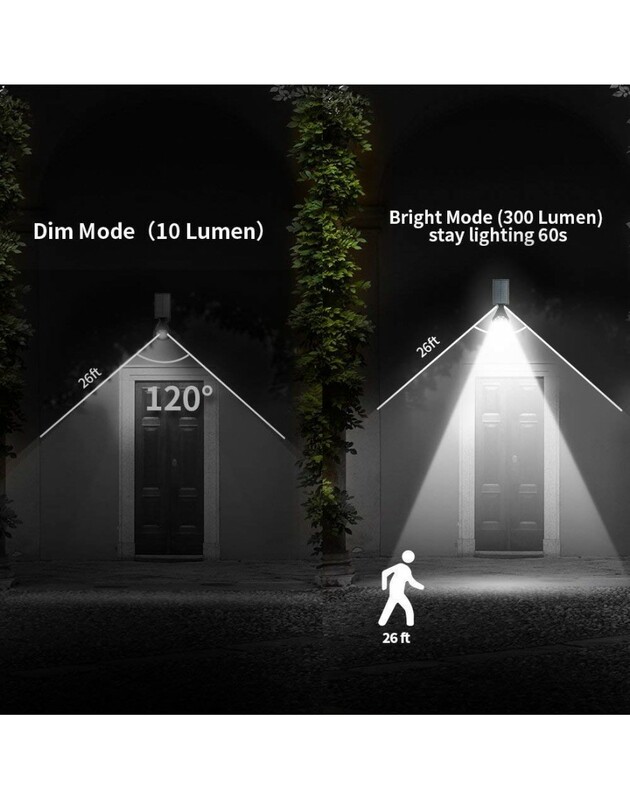 No More Darkness around your house anymore. 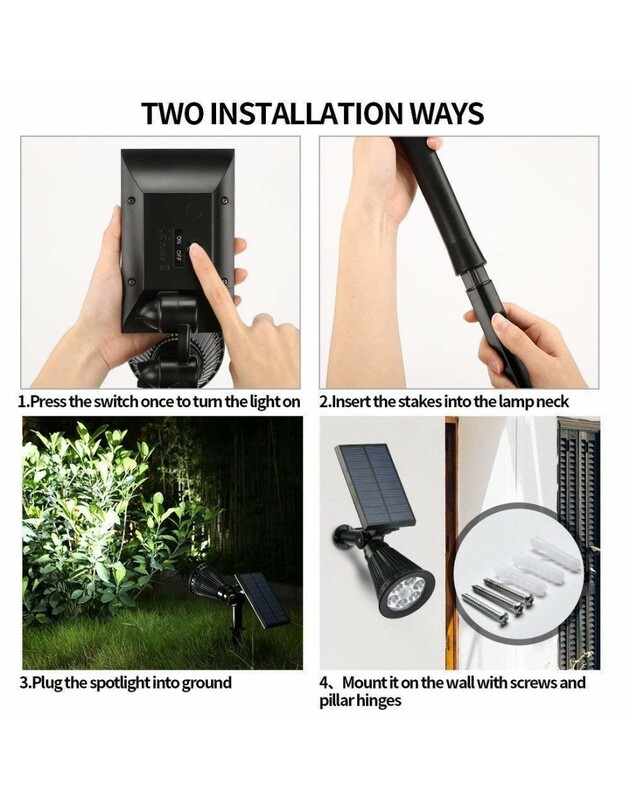 2-in-1 INSTALLATION: Stick into the ground./Use included screws to mount on the wall. 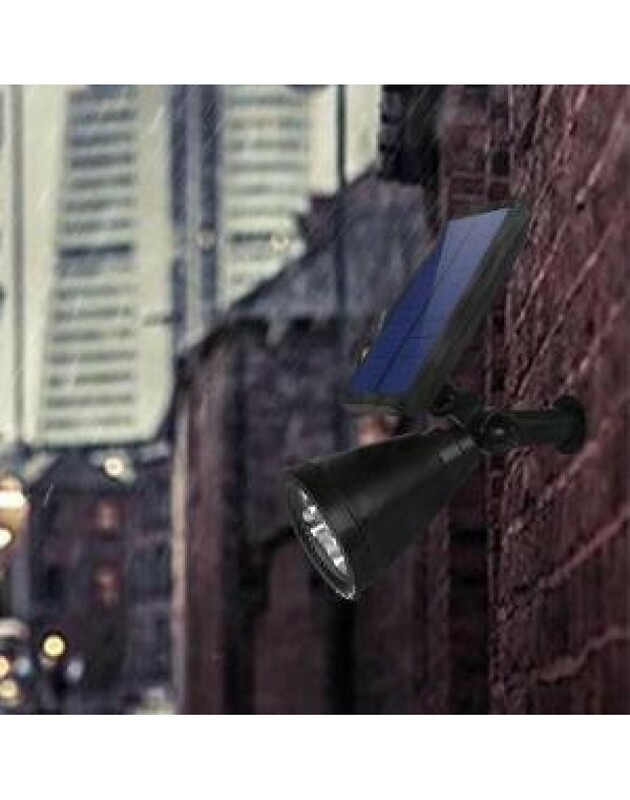 You can place these solar flood lights at anywhere direct under the sun outside. 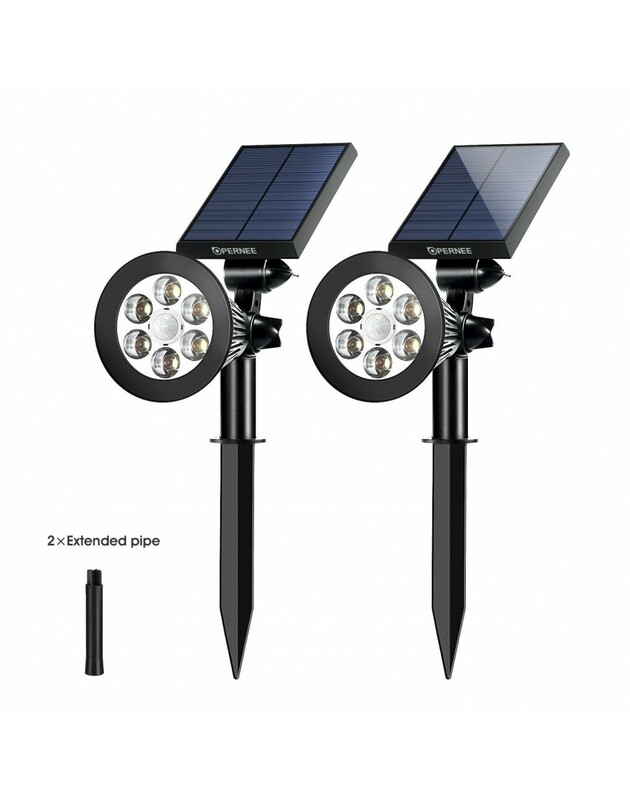 Perfect for lighting up your trees, Patio, Porch, Path, Deck, Yard Garden, Garage, Driveway and so on. 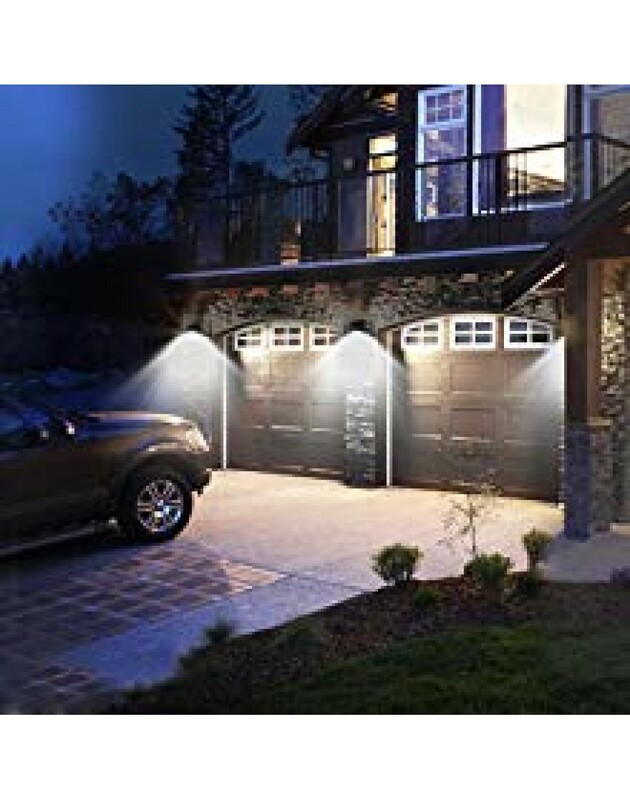 Make your home with lighting at night Immediately! 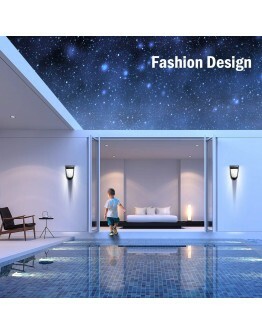 LENGTHEN SPIKE AND AUTO-ON/OFF: Free to control lighting height and angle with the lengthen detachable spike. 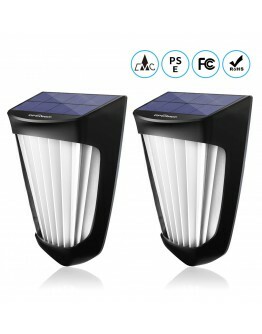 With the function of Intelligent light-sensing function, the solar LED spotlight will Auto on when the day gets dark and Auto-off when the sun rises. 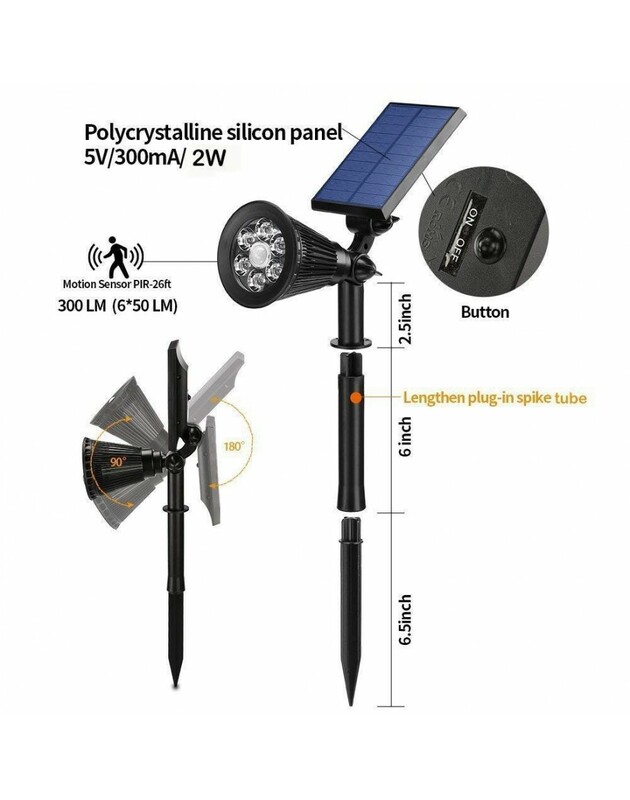 UP To 12 HOURS WORK TIME: With 5V/2W large capacity Adjustable Polysilicon panel and built-in 18650 lithium rechargeable battery(2200mAh), it can Light up 6-12 hours after fully charged. Waterproof and Durable, withstand all kinds of weather all around the year. 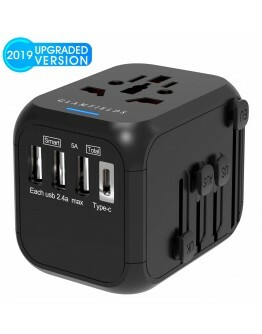 60 days money back and 12 months warranty for replacement. 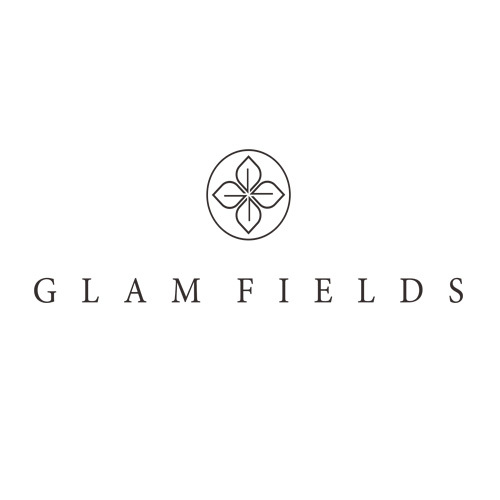 Within 24-hour response and five-star after sale service teams, there is no worry for you. 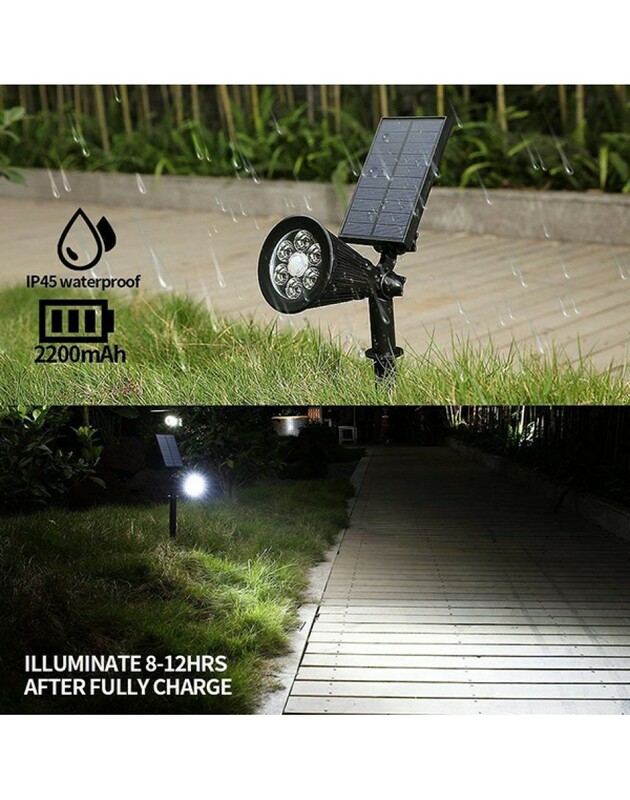 The angle of the light and the solar panel can be adjusted to obtain the perfect illumination angle and the best solar charging effect (180 degrees for the solar panel, 90 degrees for the light head). Make sure expose it to the sunshine for 6 to 8 hours to fully charge before using it. 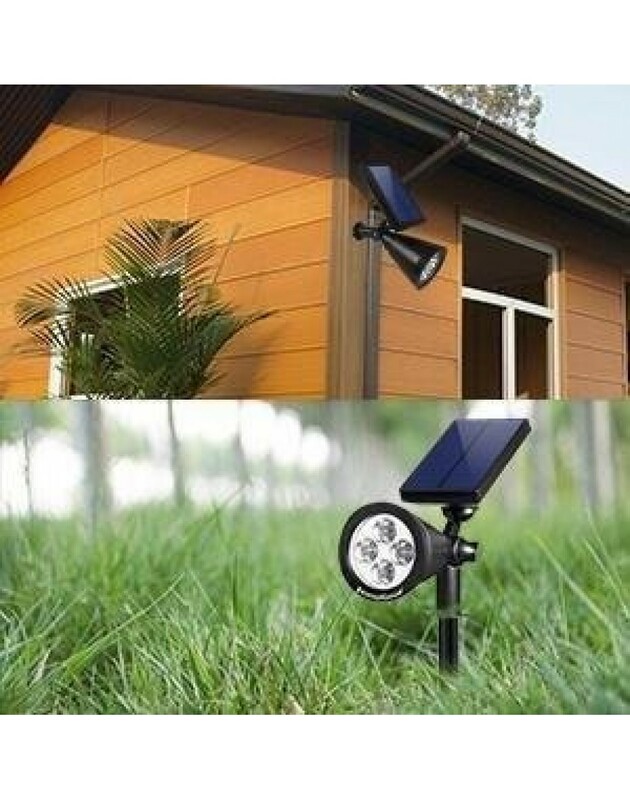 (lack of sunny or cloudy weather will lead to insufficient charge and shortens use time). Main Material: Premium and durable ABS+PC Plastic Housing.